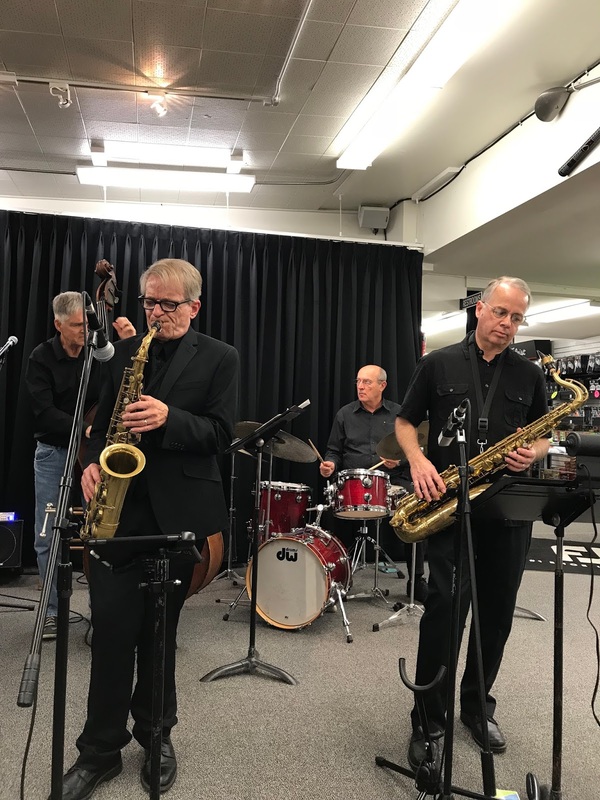 If you were not at Pete Carlson's Golf Shop this past Saturday night to enjoy his "Jazz for Jazz Lovers " weekly concert series, you missed some absolutely great live Jazz. Luther Hughes, the talented veteran Jazz Bass player has put together a group of 5 of the best Jazz musicians playing today in what he titles, "The Cannonball/Coltrane Project". The theme of the performance was developed to cover some of the wonderful resume tunes that were associated with these two Saxophone Jazz Giants. 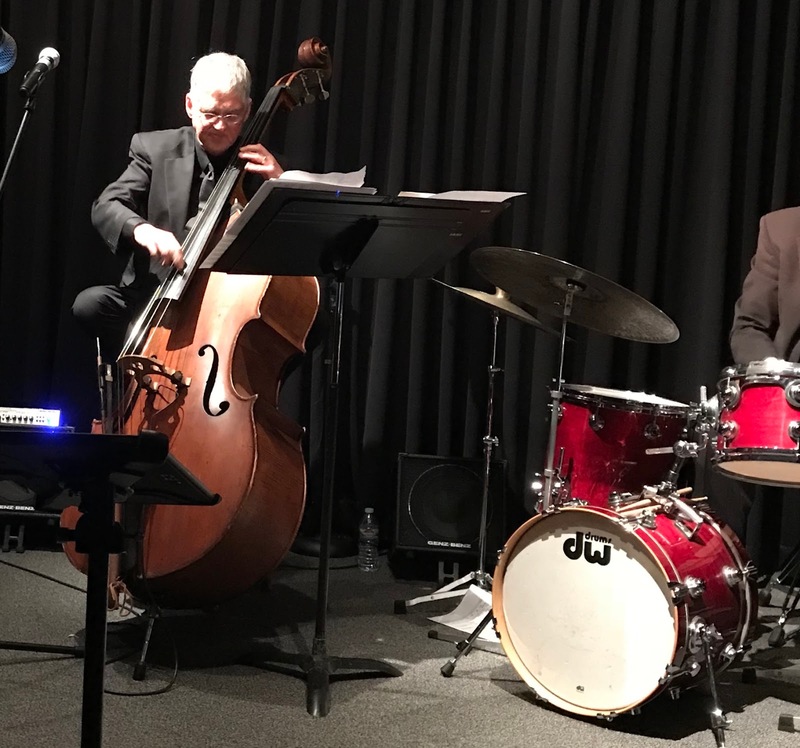 As experienced and professional as these musicians are, it was so refreshing to see how excited they were to get to perform these great songs for an appreciative audience. From the first count down of the first song, this group was off to the races. No warm-up necessary tonight, just straight ahead Jazz from beginning to end. The quintet has been together for over 15 years and it showed. Each performer, a star musician and leader in their own right, played together as one voice, each giving room for all to shine. The group has recorded 4 superb CDs that have received national recognition. 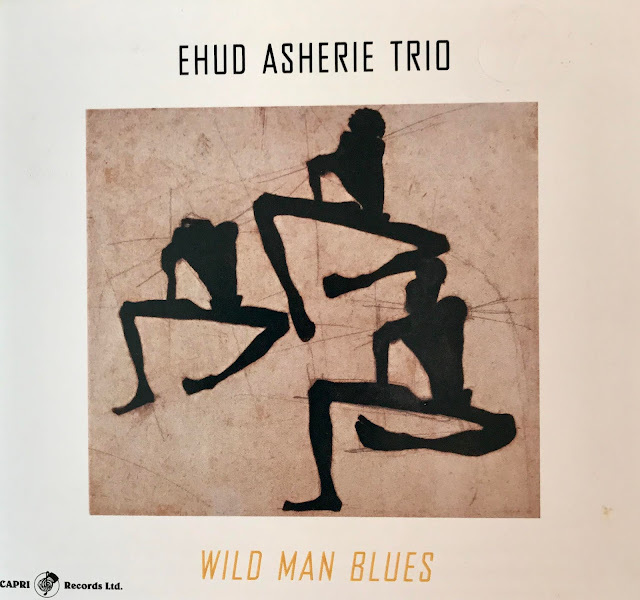 This group put together by Bassist, Luther Hughes is perfectly fitted to venture into hollow ground that Cannonball and Coltrane established. Bruce Babad was outstanding on Alto Sax as he always is and I am sure even Cannonball would have been impressed. Glenn Cashman performed Tenor Sax with great strength and style. If you closed your eyes you might have thought Coltrane was back on the scene. Ed Czach on Piano was perfectly fitted to bring this group together and a joy to listen to. Finally, the percussion duo of Luther Hughes on Bass and Paul Kreibich on Drums was perfect. "Jazz for Jazz Lovers" is a season-long weekly series that is supported and managed by Pete Carlson and his wife Edna. 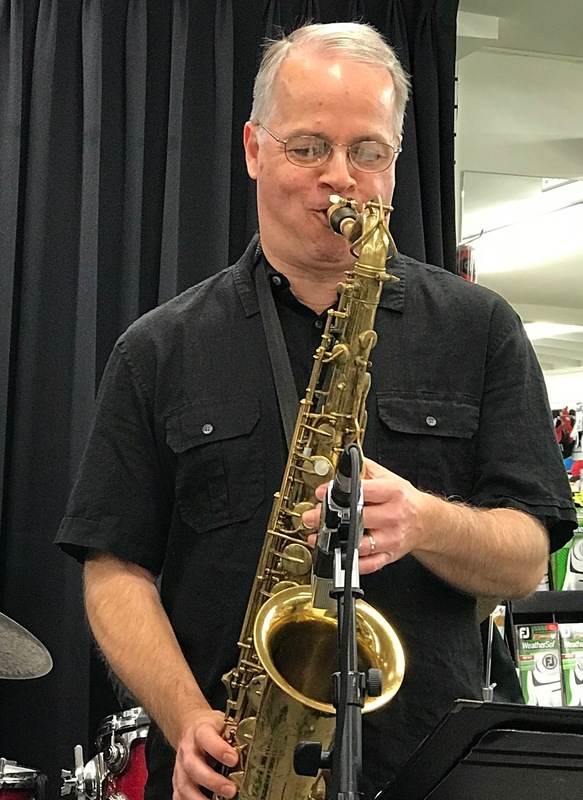 Pete set up this Jazz series as a non-profit and the proceeds support music education for young musicians in the Coachella Valley. It's a lot of work for Pete and Edna but it's truly a labor of love as Pete and Edna have always been supporters and major fans of Jazz. The series has a new presentation every week on Saturday at 7:00 PM and you can buy tickets at Pete's Carlson's Golf Shop. At $30.00 per ticket it is the best deal in the country to hear major league live Jazz! I found a "YouTube" of this outstanding group of world class musicians playing Cannonball's, "Mercy, Mercy, Mercy". I know you will enjoy it!